According to Hembaor, information at their disposal indicate that the elimination plot was mooted long ago, “but its implementation was pushed to 2019 when, by the plotters’ calculation, Ortom would no longer be governor.”He claimed that it was on this premise that the All Progressives Congress (APC) leadership was earlier instructed to deny the governor a return ticket come 2019. The recent defection of the governor to the Peoples Democratic Party (PDP), Hembaor stated, had supposedly distorted the hatching, hence the decision to move for his immediate removal from office by the legislature. 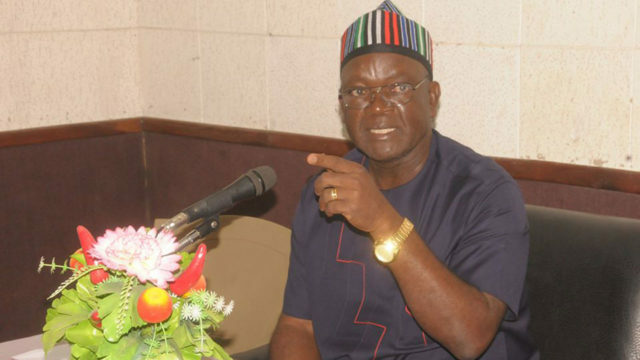 The TYO leader regretted that “in all of this, the cries of the people of Benue and those of other Nigerians did not make any impression on the president.“We want to put it on record that the life of Governor Ortom is at risk and if anything happens to him, President Muhammadu (Buhari) will be held responsible.”He went on: “We call on the President Buhari to henceforth withdraw the police that he has mandated to terrorise and intimidate Governor Ortom.